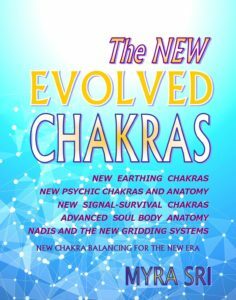 The New Earthing Chakra System and Subtle Body Anatomy has been developing for some time, and many are working with the existing system of the Main 7 Chakras (or the 8 Chakra System that some utilise) and some are also working with the Higher Chakra system – but without the benefit or knowledge of this new anchoring system of Chakras. Even though they may be working with a more awakened sense of consciousness there may still be difficulty in ‘staying’ grounded, or in being able to protect themselves fully. There may well be difficulty in aligning their inner sense of life with the actual reality of ability to navigate existence in the current culture or their current circumstances. David Icke has written about some possibilities, and indeed, actualities. However, for many there has been little etheric weaponry to ‘fight-back’ so to speak – or at the very least, to be able to deal with some of the energetic and vibrational warfare being raged to keep the Planet in a darker place then it could be. Those of good heart may find themself occasionally trembling at the potential of the Dark – but rising above the fear and using what we have been given (and have evolved) can assist us in bypassing the slavery and hypnotism attempts and onslaughts still taking place to keep a 3D world anchored here on the Planet; and against the actual destiny of the Planet to evolve and ascend. 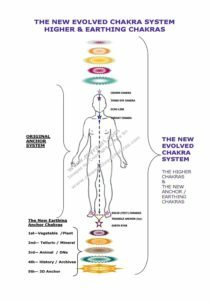 These new Chakras now enable us to anchor in at a much deeper level. Which is necessary to do so as we move through Space and The Cosmos connecting with the Photon Belt more and more daily. The need to be fully present in the physical to enable ‘right’ or correct action and thought to be captured and processed on the spiritual level has increased.